Back in 2013, through Vandit, Alex M.O.R.P.H. 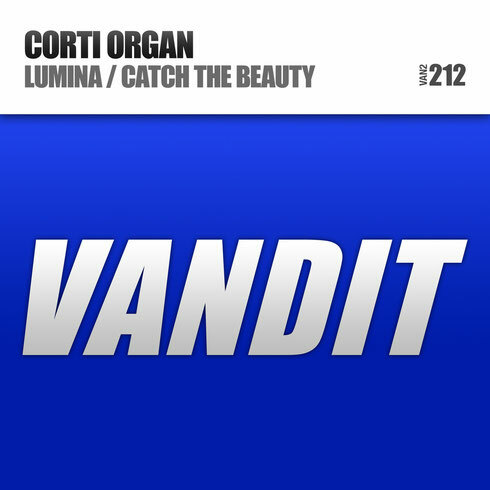 introduced trance fans to the talents of German-Croat duo Corti Organ. MIxMag proceeded to hail their co-op ‘Magnum’ as a 9/10-scoring “seriously annihilating piece of floor-flooring gear,” adding that it was “so tasty you’ll want two of them!” Accruing spins from PvD, Paul Oakenfold and Armin van Buuren, it was followed by more club tracks, (‘Butterfly’, ‘Half Life’ and ‘Narrow’ among them), which have apparently catalysed Daniel and Nikola’s recording careers. In 2016, the pair emerge from the studio once again, having readied their next strike and return to the label’s door with two productions. Across two mixes, ‘Catch The Beauty’ meanwhile casts its eyes most definitively in the direction of a certain upcoming season… The boys’ own Summer Mix plays to the track’s melodic heartland, with sun-stroked riffs and plenty of goosebump-popping charm. Through their Primetime Mix version, Sun & Set’s nudge the tempo up a notch or three, giving the track a significantly more vertical feel.